A new California survey of pregnant and new mothers paints a bleak picture of what it’s like to be a black mother. In Listening to Mothers in California, black mothers reported not being heard by their health providers and said they experienced discrimination during childbirth. They also experienced higher rates of anxiety and depression during and after pregnancy than white women. The findings add fuel to a growing sense of urgency on maternal health. On Wednesday, California Gov. Brown signed into law two pieces of legislation that will help pregnant and new mothers get help for maternal mood disorders. The survey, which looked at 2,539 California women who had given birth to a single baby in a hospital in 2016, was conducted by the National Partnership for Women & Families, and funded by the California Health Care Foundation and the Yellow Chair Foundation and released earlier this month. “It’s so disheartening that we did find over and over so many areas where black women were suffering the most,” said Carol Sakala, lead investigator on the report and director of Childbirth Connection programs at the National Partnership for Women & Families. Black women in the U.S. are three to four times more likely to experience pregnancy-related death than white women. Black infants are twice as likely to die before their first birthday than white infants. And, the racial discrimination that many black women experience can have detrimental health effects, including increasing the risk of premature birth. While 82 percent of black women surveyed agreed that “childbirth should not be interfered with unless medically necessary,” the report showed that 42 percent of black women gave birth by cesarean section, compared to 29 percent of white women. Black women were also more likely to have repeat C-sections: only 8 percent of black women had vaginal births after cesareans, compared to 16 percent of white women. Telling us what we already know? While the survey deliberately oversampled black mothers in order to better grasp the issues they face, one expert said it didn’t go far enough. McLemore said truly listening to mothers would go beyond “representing them numerically” through surveys. McLemore also pointed to the fact that the main survey team was made up solely of white people. She said she would have asked different questions. McLemore said the survey also doesn’t shed light on the question of whether black women are less likely to enter the health care workforce because of negative experiences with maternity care. The survey did find that black mothers had more postpartum visits than their non-black peers, which Sakala said may mean that they had more postpartum challenges for which they sought help. Over the past decade, California has emerged as a national leader in maternity care. 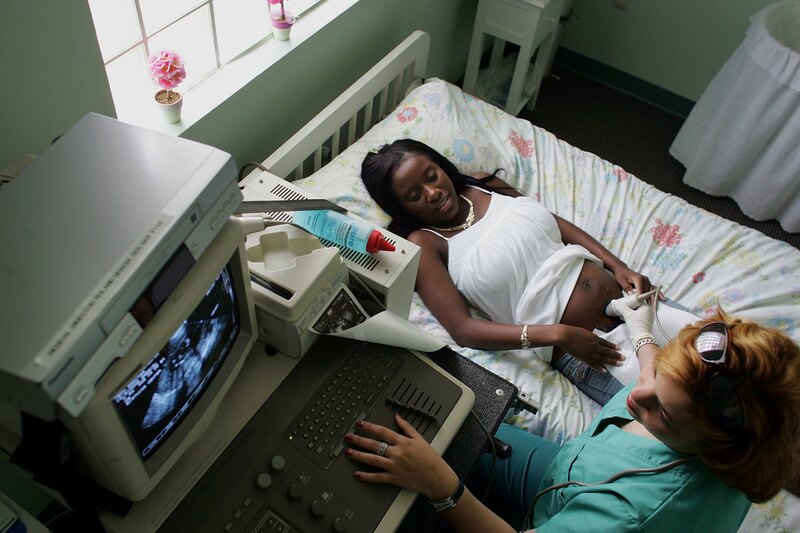 The California Maternal Quality Care Collaborative works with state agencies to reduce maternal mortality, reduce primary cesarean births and reduce other preventable pregnancy and childbirth complications. CalHospital Compare and Yelp publishes cesarean rates by hospital. Covered California, the state’s health insurance marketplace, has given hospitals an ultimatum to reduce their unnecessary cesarean rates or risk being excluded from health plans. And, according to a new report from USA Today that skewers the U.S. for its terrible treatment of mothers, California is one of just a handful of states that actually reviews maternal deaths and tries to learn from them. One of the authors of the Listening to Mothers survey praised California for its transparency in reporting hospital maternity care statistics, such as cesarean rates. That doesn’t mean California has solved all its maternity care problems. For journalists covering the beat, it’s worth examining disparities in care among women with private insurance versus Medi-Cal, the state health insurance program for low-income residents. The survey found that women on Medi-Cal were twice as likely as those with private insurance to report not having a choice in who they saw for care. Another realm ripe for reporting is maternal mood disorders. Thirty percent of black women reported anxiety during pregnancy, compared to 20 percent of white women, according to the California survey. Fourteen percent of black women reported feeling anxiety following the births of their babies, compared to 12 percent of white women. Reporting on maternal mental health is especially timely right now. In addition to the new laws in California, nationally, the U.S. Preventive Services Task Force recently updated its recommendation that doctors screen pregnant and new moms to identify those most at risk of becoming depressed. The National Partnership for Women & Families published a report earlier this summer offering suggestions of how to improve maternity care in the U.S. Previously, the organization published five national Listening to Mothers reports from 2002 through 2013. They’re looking for funding to do another national one, Sakala said. This year’s was the organization’s first statewide survey.